Posted: Mon May 18, 2009 4:10 pm Post subject: How do I post pictures? (b) own the copyright to the photo, and received the permission of the people in the photo. (c) have the permission of the copyright owner, and received the permission of the people in the photo. If the photo you are posting does not fall into category (a), (b) or (c), do not post the photo. First off, make sure your photo or image is located on your computer. Makes sense . Click post reply or new topic as normal. Any larger and the image will not appear. Again, be aware that the Maximum Upload Size using this method is 256 KB in the following formats gif, jpeg, jpg, png, tga, tif. If taking pictures specifically for the site, you could reduce the megapixel count on your camera if you wish. Method (1) Without installing anything extra provided you have "Paint" as part of your windows package. Right click on the picture you wish to "shrink". Then left click EDIT on the menu that appears. If you have "Paint" installed this should now take you to that package. You will then see your image sitting in the editing panel. Left click the IMAGE button at the top of the screen, then left click STRETCH/SKEW from the drop down. In the panel that appears you will see the stretch dimension on the horizontal and vertical are set to 100%. Alter both the horizontal and vertical to your needs, say for example try 50%. Left click OK and your image is reduced. Finally left click FILE followed by SAVE AS to allow you to save the image under whatever name you wish, preferably some different to the original file name to prevent you overwriting your originals. As an alternative to hosting the image on Irishgardeners.com you can post a photo from another site you are hosting already it on. and place the text [img] before it and the text [/img] after it. 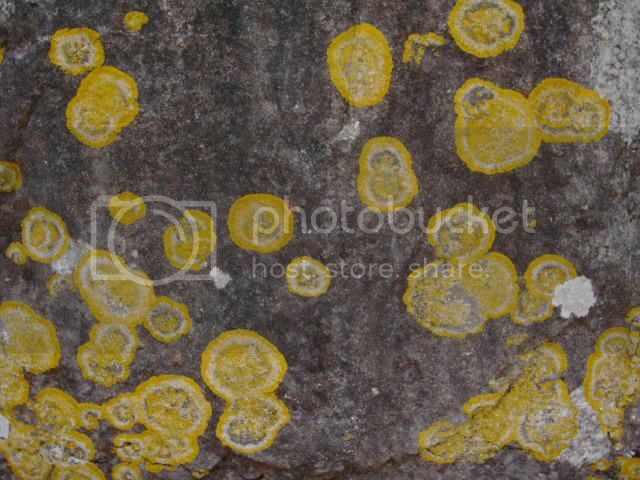 This is a pic of some lichen growth as can be seen in its image title above. A quick way to place the two pieces of text around the web address of the image is to select the web address text of the image with your mouse and press the button that says 'Img' above where you are writing the post. This very made easy for you on Photobucket. Under each photograph you'll see 3 boxes URL, TAG and IMG. Left click with your mouse and highlight the IMG one and then right click your mouse. Select copy. Come over to Irish gardeners and open a topic then right click your mouse again. Select paste. You should now be able to see your picture. Now when you finish your post the images will show inside your post. How to post images from Flickr. How to post images from picasa. feel free to post a question about it in Overall discussion or send me a PM (Private message) by clicking on the PM button below, and I will see if I can upload them for you. How to post pics on the forum. Benefited from us? Then link to us or tell others.